Anyone who knows me knows that I am not much of a sports fan, but there are certain events that are difficult to ignore, because of the high interest internationally. Other than the Olympics, perhaps the best known is the FIFA World Cup, whose most recent competition concluded only hours ago. All of those athletes were highly focused on one thing and one thing only: scoring as many goals as possible, and preventing their opponents from doing the same. While the word "goal" is not used in every sport, every sport still has a goal, which might be to achieve the highest (most sports) or lowest (golf and timed races, among others) number possible. 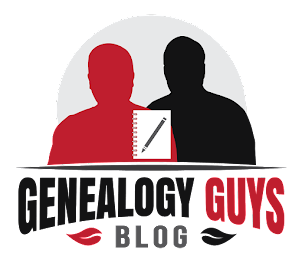 Genealogy may not be competitive in the way that sports are (although it can be entertaining in genealogy Facebook groups to watch people try to be the first to answer someone's question), but genealogical research is most successful when it begins with a well-defined and achievable goal. In my opinion, these goals work best as quarterly goals, because annual goals can lull us into putting off doing work until late in the year, and goals over a shorter time might not provide enough time to achieve anything useful, especially when the goal is difficult. Between my full-time librarian job and my genealogy speaking and podcasting activities, I don't find a great deal of time to work on my personal genealogy research goals, but that isn't an excuse for me to avoid having those goals. In fact, because I haven't spent enough time defining my research goals lately, I haven't really made any significant headway on any of my genealogy research questions. So let's see if I can start the process by thinking about what might make for a good genealogy research goal, and then we'll see where that leads us. I'm fairly comfortable with the facts concerning the names of my 8 great-grandparents, but things get a little sticky past that point. I don't know the maiden names of 4 of my great-great-grandmothers, and with one of those, I don't even know her first name. Three of those are on my maternal side, which is located entirely in South Carolina. And two of those are women who married men with very common names (Elizabeth, wife of James S. Martin, and Letty/Lettie, wife of Charles King). As a result, I'm especially drawn to the woman whose entire name is a mystery, the mother of Elizabeth "Bettie" Foshee and the wife of Benjamin Foshee. So as a birthday present to myself (3 months from now), I'll set the research goal of discovering her name. I challenge each of you, dear readers, with doing the same thing in the next 3 months: Set a research goal for yourself to take one of your brick walls and focus on it (more on focus in a later blog post). I'll want to hear how you did. And you can hold me accountable for my own goal, too! A research goal is an excellent idea, but I'm still working on my goal of dealing with the large stack of papers near my right elbow! Unfortunately, each piece of paper seems to mushroom into a full-blown research project, so I'm not making much headway - but I'm having fun!